Light up your wedding with customized matchbooks! The perfect personalized wedding favors, matchbooks are a classic yet fun detail for every event. Affordable and useful, use your matchbooks as save the dates or even as place cards for the reception. Make them a fun favor at your engagement party or bridal shower, or simply leave them by the bar at the reception for that nice finishing touch. With a variety of colors and themes, our completely customizable matchbooks are sure to fit your scheme. Looking for more ways to make your wedding unique? 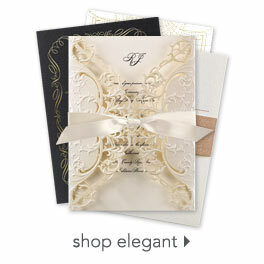 Be sure to check out our other personalized wedding reception accessories and wedding favors. We're certain you'll be happy with our large selection of coasters, napkins and more. Browse through our save the dates and place cards for even more unique ideas.